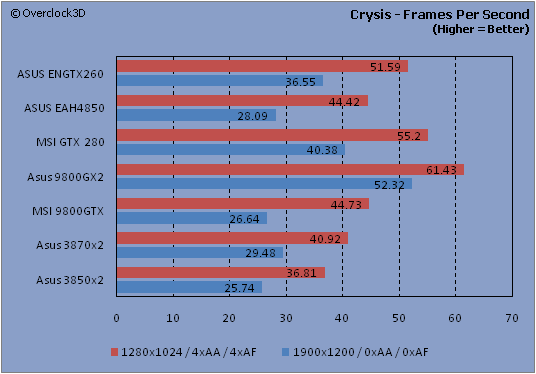 With only 4FPS between the GTX280 and ASUS' overclocked ENGTX260 TOP at both both resolution settings, the GTX260 takes the upper-hand once again when we switch to the CPF scale. Costing a full £4 less per frame at 1900x1200 and over £3 cheaper at 1280x1024, it's clear what the better choice is when going for the green team on a budget. 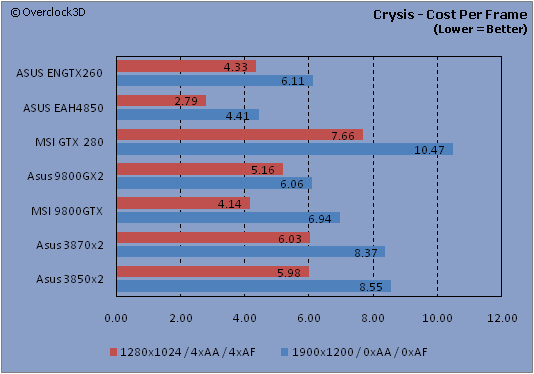 Once again, the GTX260 doesn't have quite what it takes to beat out the GTX280 despite the generous ASUS overclock. 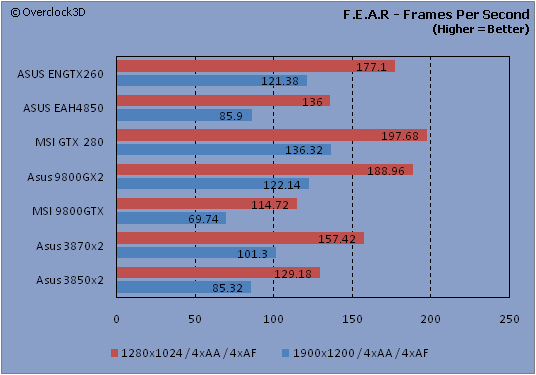 However, with only 15-20FPS between the two cards and frame rates just shy of 200FPS, the difference does become quite negligible. 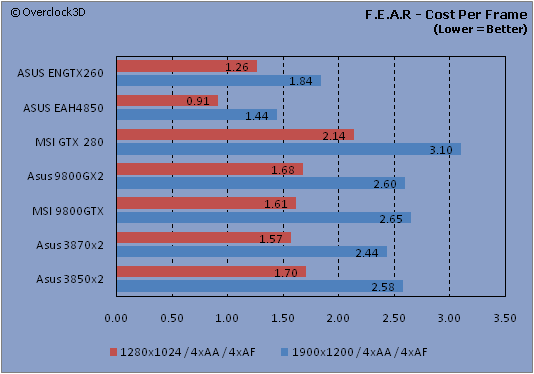 Interestingly, the GTX260 also comes within £0.30-0.40 of the HD4850 at both resolutions, showing that its £100 higher price tag is almost made up for with extra performance.